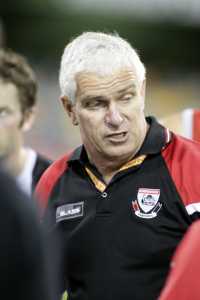 The unexpected venue and opposition won’t faze Morningside as the Panthers prepare for their fifth grand final appearance in eight seasons under master coach John Blair, reports The South East Advertiser. The Panthers enter Sunday’s grand final against local neighbours and arch rivals Mt Gravatt as hot favourites to win their 7th flag in their 60th year in the competition. The grand final was originally scheduled for Carrara, but the start of redevelopment work on the ground to bring it up to AFL standard meant the switch of premiership decider to the local area. Morningside enter the grand final with a full list available other than brilliant half-back Jack Lawler, who broke his leg late in the year. They destroyed Southport in the second semi-final by 12 goals and meet a Mt Gravatt combination that has had to battle their way up from fifth place after the home and away season. Morningside met Mt Gravatt in the 2003 grand final under similar circumstances, with Mt Gravatt on a roll from fifth spot, only to suffer a 10-goal defeat at the hands of the Panthers. The two clubs have a 1-1 win-loss record against each other this season. “Mt Gravatt were the last team to beat us so you have to respect them, but we don’t fear them,” Blair said. Since that six-goal loss in Round 2 when the Panthers were still adjusting to some new faces and a revised game plan, they have strung together 17 successive mostly crushing victories. 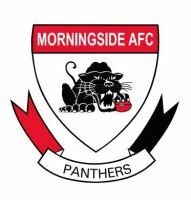 It will be a big occasion for Morningside, with the team’s reserves side also contesting the grand final against Redland. “It’s great to have the reserves involved as well because it means we will have a full squad on the training track and will add to the atmosphere,” Blair said. Morningside earned a bye in the first week of the finals and will be similarly refreshed after watching Mt Gravatt grind their way to a slogging victory over Southport in last week’s preliminary final. “Every final is tough in its own way but Mt Gravatt will have had seven days to recover,” Blair said. Morningside’s big guns led by skippers Jacob Gough and Kent Abey, ex-captain David Lillico, midfield general Paul Shelton and half-back dynamo Nathan Kinch will cause Mt Gravatt plenty of headaches for what will be an intense encounter.